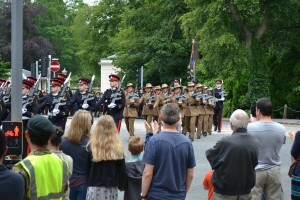 On 14 Jun around 250 Military Personnel, including Gurkha Company (Sittang) and the Band of the Brigade of Gurkhas, marched through the town of Camberley to celebrate the Freedom of the Borough and to commemorate the 100th anniversary of World War 1. 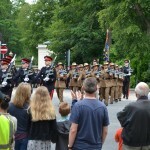 Thousands of supportive public turned out to line the streets of Camberley. 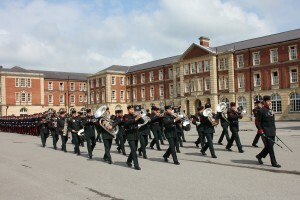 The historic parade began from the RMA entrance on the London Road and halted opposite the Surrey Heath Borough Council Office. 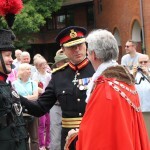 The parade presented arms followed by an inspection from the Mayor of Surrey Heath Borough Council. 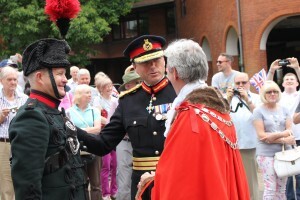 Freedom of the Borough symbolises the highest honour that has cemented the historic relationship between Camberley, Surrey Heath and the Royal Military Academy. 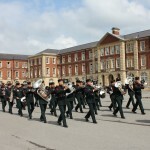 Cheering crowds, marching cadets and Gurkha Company Sittang were entertained by the Band of the Brigade of Gurkhas.